Well folks, I’m livin’ in the Treasure Coast! It took eleven years and a lot of aimless wandering for me to arrive here, but I had fun and learned a lot along the way. 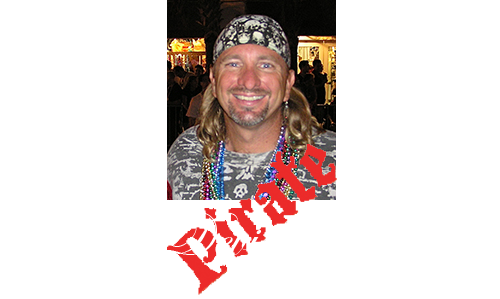 Welcome then, to the fourth Florida version/fifth web version of The Devine Times. I’ve tried to keep it fun, as always, and I hope you enjoy the show. Once again, to satisfy the confused masses out there who never seem to know what I’m up to, here is the condensed version. After retiring from the Navy and stumping around the world doing not much of anything for two years, I moved to Florida. I finished scuba instructor training in Fort Lauderdale, Florida with Pro Dive USA in 2007. Following the school, I found a job in Key West with Dive Key West, Inc. and spent many days getting wet. For those of you unfamiliar with Key West, it is a VERY SMALL tropical island at the end of the world, at least the end of Florida. I left Key West in late 2008 and returned to civilization (Ft. Lauderdale) to work at Pro Dive first as an instructor, then the Retail Center Manager before getting bored and moving to Orlando, Florida in 2010. While in Orlando, I completed a Masters Degree in Entertainment Business at Full Sail University in an attempt to spend as much G.I. Bill money as possible before I do something rash, like get a real job. During my studies, I helped with equipment testing for Scuba Diving Magazine and, after graduating from Full Sail in 2011 I worked as the interim Director of Scuba Labs. In late 2011 I accepted a job with the U.S. Southern Command to be the Administration and Finance Officer at the U.S. Military Liaison Office in Brazil (i.e. the real job) and moved to Brasilia, Brazil in early 2012. While working in Brazil, I was lucky enough to re-encounter a woman from my past (Rosilane of course) who would become my wife in November of 2013. Realizing that a real job wasn’t my thing, I returned to Florida in November of 2014 to work as a Scuba instructor with Divers Direct in Dania Beach. Through many twists of fate and other strange alignments of the stars I somehow found myself in Stuart, Florida working on another degree, this time at Indian River State College in an attempt to spend even more G.I. Bill money while teaching scuba on the side. That’s about all there is. Someone has to do these things. May as well be me. Beats a desk job any day in my book!